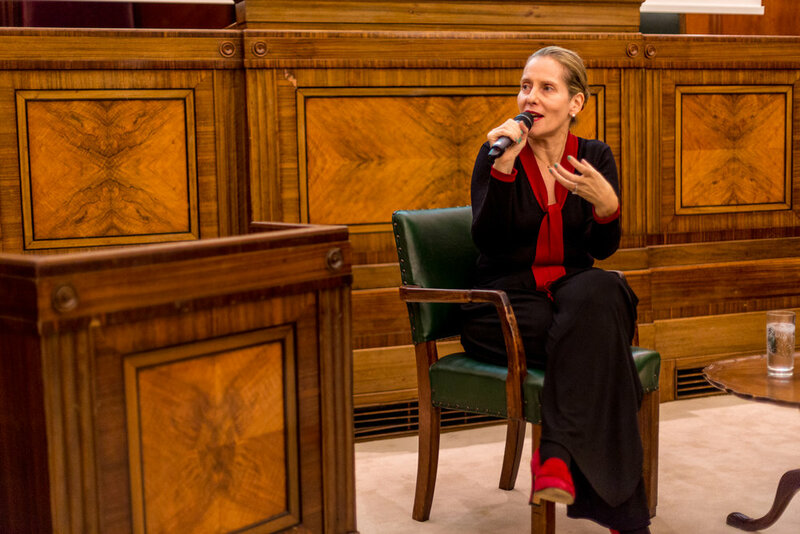 At the end of February we were incredibly honoured and happy to welcome Paola Antonelli, senior curator of architecture and design and MoMA and also head of their research and development department to speak at one of our Riposte Presents events. We interviewed Paola in issue four of Riposte so it was an absolute pleasure to finally meet her in person. In her work she creates fascinating and incredibly intelligent exhibitions and creative projects yet she manages to do it with a sense of humour and a real warmth. 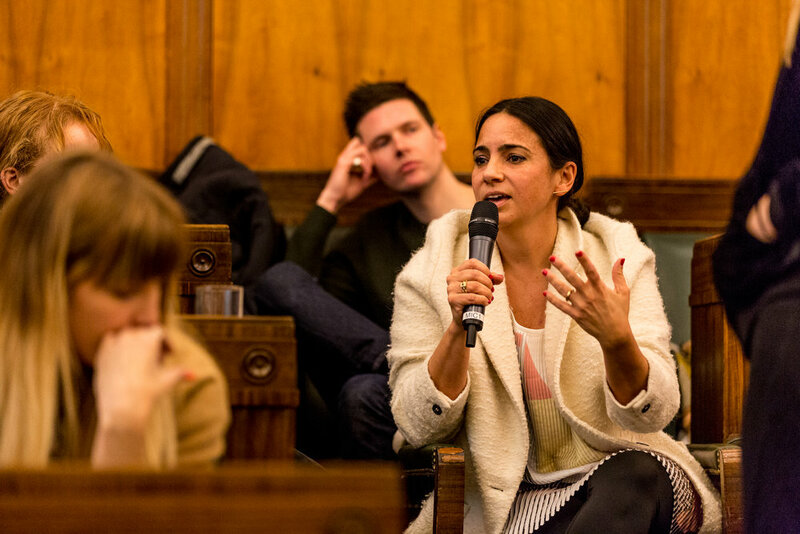 For our event Paola took to the floor and for 45 minutes amazed and inspired everyone in the audience. She talked about what she thought museums were for in 2017 how she likes to question ideas and topics through objects. Through her work she asks what items are for and examines the stories they tell about how we live. Paola talked of how curating is a privilege and how it is only allowed to happen if there is a public. She doesn’t see museums as somewhere to house ancient relics, to Paola they are places to explore culturally relevant ideas. She believes museums should be good citizens and that the design exhibitions she curates should put a lot of questions in the audience’s minds – that’s what she believes is a successful project. She went on to discuss the incredibly fascinating project she curated, Design & Violence. Originally the idea began life as an exhibition proposal which was rejected by the exhibitions board of MoMA, never one to let failure stand in her way Paola decided to create a website to document and explore all of her ideas around the subject. All of the essays commissioned can be found on the Design and Violence website. The whole project gives a great insight into Paola’s unique approach to curating, how she refuses to let failure defeat her and how she deals with such a huge topic from a range of angles and perspectives. As culture can’t be measured in metrics and tangibly tracked financially it isn’t as well respected as say the business or finance industries. However to Paola culture is the making of communities and civilisations, it was out of this belief that she founded the research and development department at MoMA with the idea to try and tangibly track some of the differences culture makes to our lives. 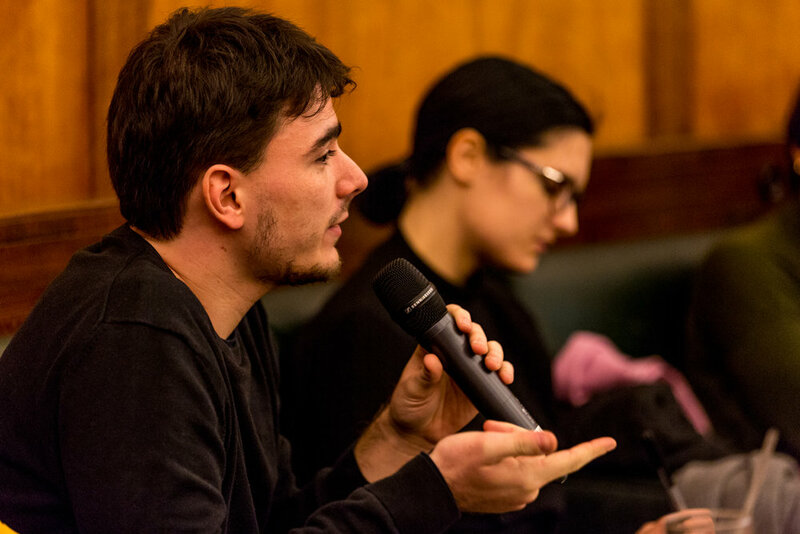 As part of the R&D department she hosts series of salons - talks and panel discussions that tackle big issues such death, our informed futures, fluid states of America where they discussed gender and race, data, philanthropy and many more interesting areas of discussion. You can catch them all here and we highly recommend spending a night with Paola and some of the brilliant people she invites to join her. She wrapped the talk by introducing the new exhibition she’s currently working on that will open at MoMA in the autumn. Items: Is Fashion Modern takes 111 items of clothing and examines how modern fashion actually is. As with all of Paola’s projects it poses huge questions such as, “Is fashion modern when catastrophe’s like Rana Plaza happen in the name of cheap, fast fashion?” In true Paola style, there is an innovative element to the project as the curating team document their journey of creating the show with a blog where you can see the issue that they’re grappling with and that will inform the content of the show. To round off the night Paola basically owned the room and took questions from the audience in her own warm, funny and incredibly intelligent way. Paola we salute you, you’re amazing!